Driving a classic Jaguar Mk II will remind you of a simpler time when gentlemen drivers wore gloves and opened doors for ladies. When it fails to start, you won't curse or pull out a handgun, you will simply take a step back and stare at the gorgeous shape and remind yourself to start looking into Chevy V8 conversions. 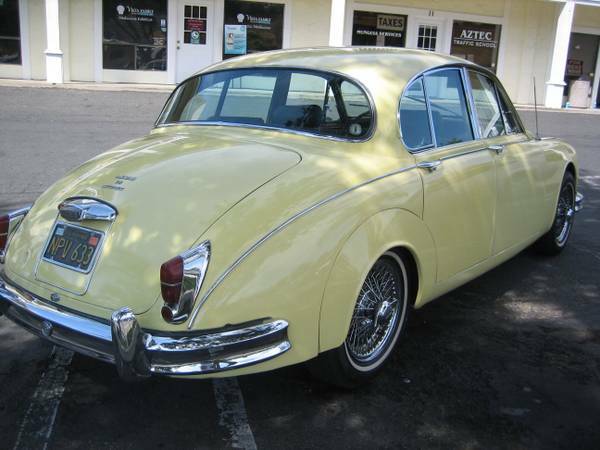 Find this 1965 Jaguar Mk II for sale in SF Bay Area, CA for $18,000 via craiglist. Another great Kaibeezy tip. 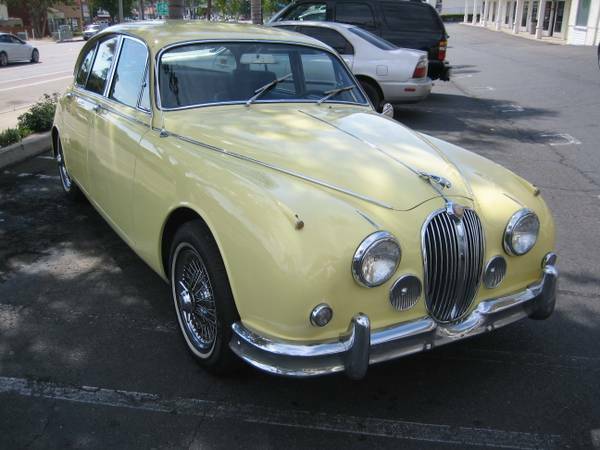 We are joking about the V8 in this one because it is a nice looking original example wearing California black plates and the new owner should enjoy many miles from the original Jag inline-6 (looks to be a 2.4 or 3.4, but maybe a sharp eyed reader can tell us). Only if its a 3.8 with 4sp and OD! Otherwise "Yank" the engine and make it haulazz. Perhaps we can agree that finding a very nice 3.8 with Manual at $25K or less is still the ultimate target.